There is a war over Jerusalem. Well, there has always been a war over Jerusalem, but this time it involves Israelis and Palestinians. Jerusalem has always been an occupied city and it remains occupied under Israel as long as equality is denied to all of its residents. But the Palestinians, who are today the targets of the latest occupation, are contributing to their troubles by buying into the failed policies of the “anti-normalization” campaign pushed by pro-BDS and anti-Israel hate groups. For generations, the failed Arab leadership has told Palestinians not to engage Israelis or Jews in Israel socially because doing so would “legitimize” Israel’s occupation and its historic war crimes since its military founding in 1948. Anti-normalization has only one benefactor and it is not Arab interests. It isn’t designed to harm Israel, because it doesn’t. The real purpose is to distract the easily distracted Arabs from the failure of the Arab world and Palestinian activists. Nowhere is that failure more evident than in Jerusalem, the western half of which has been occupied by Israel since 1948 and the eastern (Old City) occupied by Israel since 1967. Despite the weight of international law being on the side of Palestinians in the city, Israel has managed to successfully undermine all legal venues and reinforce its stranglehold on the city with open policies of ethnic cleansing, (if you define ethnic cleansing in terms of ridding “non-Jews” from the city’s perimeters). The most recent example of this Arab failure took place this week in Jerusalem, where Israel has ramped up a campaign to evict non-Jews from property, homes and lands, and to settle Jews in their place. 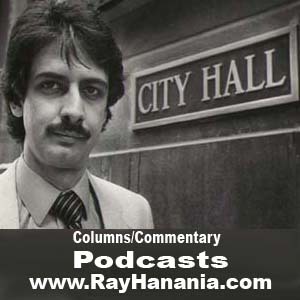 Can you imagine that all of these problems might go away if Jerusalem were to elect an Arab as mayor of the city? It’s hard to imagine because Israel’s societal discrimination against non-Jews is deeply rooted in “policy, practice and reality” as my late friend Nazareth Mayor Tawfiq Zayyad once described to me. Zayyad ran successfully in the Israeli system to represent the Arab portion of Nazareth, which is divided into two sections, one Arab and one exclusively for Jews called, not so ironically, Nazareth Illit (Upper Nazareth). But despite Zayyad’s powerful influence using that position to fight for the rights of Nazareth’s Jewish citizenship, the Arabs have buried their failed faces deeper into the sand over recent years as oppression has reinforced their failure in the face of Israel’s arrogant and open acts of discrimination. One third of the residents of Jerusalem are non-Jewish Arabs. The city, where my family has its roots, also has a large population of moderate Jews, secular Jews who support peace but fear the bipolar nature of Arab activism which wraps hatred around its just causes and complaints about Israeli policies. That’s a significant population to counter the extremist Jews who include the ultra-extremist Hassidic Jewish community that not only hates Arabs, but also hates secular Jews, probably even more. Last Tuesday, Jerusalem voters went to the polls to elect their mayor. The two leading candidates were the incumbent, Nir Barkat and his primary challenger Moshe Leon. It was but one of 200 municipal elections held in Israeli cities. Barkat represents the conservative but secular Jerusalem Jewish majority while Leon was backed by the extremist Shas religious party and the ultraracist former Foreign Minister, Avigdor Lieberman. 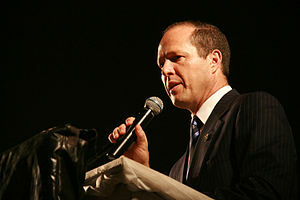 Barkat is a conservative who supports settlements and is not considered actively pro-two States. Barkat won with 51 percent of the vote, what in Western political terms if called a comfortable margin over a challenger in a race that includes several other candidates. Leon received only 45 percent of the vote, a declaration that the fanatics do not control the city as they struggle so hard to assert. The remaining 4 percent of the votes went to other candidates, including one, a Palestinian Israeli named Fuad Sliman (Suleiman) of Israel’s moderate political Meretz and Labor parties. In the last Jerusalem elections, only 2 percent of the city’s Arab voters cast ballots, basically abandoning the city to Israeli control. They were “ordered” to boycott the elections by every Arab group and leader. There are 800,000 total voters, Jews and Arabs, in the combined West and East Jerusalem. Barkat won by about 14,000 votes. Granted, Israeli racism makes it difficult for non-Jews to vote. There are 809 polling places in West Jerusalem and only 121 polling places in East Jerusalem where the majority of the Arabs live. Israel removes Arabs from the roster of citizens and residents, reducing the Arab voting population by about 1,500 to 3,000 each year. About 460,000 people live in East Jerusalem, which is 60 percent of the Israeli combined cities of East and West. The majority is Arab, despite Israel’s anti-Arab policies. Had the majority of Arabs voted for Sliman, they could have stolen the election away from Israel. And that victory was possible especially since Barkat and Leon divided the Jewish vote. Can you imagine how an Arab mayor of Jerusalem could have changed the dynamics of the conflict and the future of Palestinian rights? Sadly, most Palestinians can’t imagine success, and live in the nightmare of failure, hatred and ineffective boycotts that render them powerless.